It's not unusual to pass a Zara store and do a double-take - didn't you just see that on the catwalk? As a brand, their speed and responsiveness to the latest fashion trends are key to Zara’s competitive advantage. 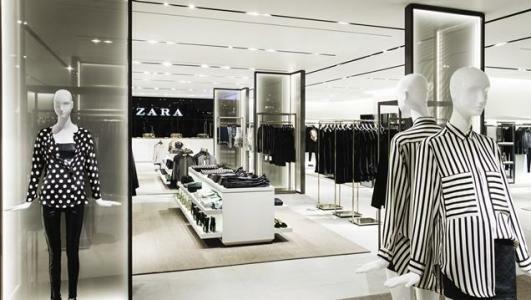 Owned by the distribution group Inditex, we had a look at what makes Zara so fast that the New York Times called it "mind-spinningly supersonic". Want to manage your supply chain as efficiently as Zara? 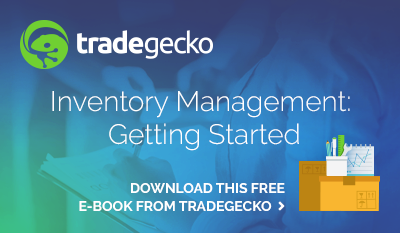 Try TradeGecko's inventory management system today! Amancio Ortega founded Zara in 1975 as an attempt to better understand world markets for his fashion merchandise. From that first store in Spain, Zara has since expanded to more than 2,200 stores in 96 countries around the world. In 2012, Inditex, Ortega’s parent company made up of Zara and other retail concepts and suppliers, reported total sales of US$20.7 billion, with Zara representing a powerful 66 percent, or US$13.6 billion, of that total. What’s the secret to Zara’s competitive advantage? Their supply chain. Zara produces around 450 million items a year. How can it stay so efficient with the sheer volume that passes through its supply chain? Regular, small-batch deliveries happen with clockwork precision twice a week to all of their stores around the world. Ensuring all this runs smoothly is what Zara does best - controlling more of its manufacturing and supply chain than most of its competitive counterparts. Zara’s overarching strategy is achieving growth through diversification with vertical integrations. It adapts couture designs, manufactures, distributes, and retails clothes within two weeks of the original design first appearing on catwalks. This is in stark contrast to the average six months it takes to produces items in the fashion industry. The company owns its supply chain and competes on its speed to market, literally embodying the idea of 'fast fashion'. The retail giant delivers fashionable and trendy numbers catered for different tastes through a controlled and integrated process – Just in Time production. Zara’s success relies on keeping a significant amount of its production in-house and making sure that its own factories reserve 85 percent of their capacity for in-season adjustments. In-house production allows the organization to be flexible in the amount, frequency, and variety of new products to be launched. The company often relies heavily on sophisticated fabric sourcing, cutting, and sewing facilities nearer to its design headquarters in Spain. The wages of these European workers are higher than those of their developing-world counterparts, but the turnaround time is miraculous. Zara also commits six months in advance to only 15 to 25 percent of a season’s line. And it only locks in 50 to 60 percent of its line by the start of the season, meaning that up to 50 percent of its clothes are designed and manufactured smack in the middle of the season. If a certain style or design becomes the new must-have on the street, Zara gets to work. Designers churn out the new styles and they're fast-tracked to stores while the trend is still going strong. Store managers communicate customer feedback on what shoppers like, what they dislike, and what they’re looking for. That demand forecasting data is instantly funneled back to Zara’s designers, who begin sketching on the spot. This then translates to frequent shipments and higher numbers of customer visits to the stores, creating an environment of shortage and opportunity. Zara’s business strategy allows the company to sell more items at full price because of the sense of scarcity and exclusiveness the company exudes. Zara’s total cost is minimized because merchandise that is marked down is reduced dramatically as compared to competitors. Zara makes 85 percent of the full price on its clothes, while the industry average is 60 to 70 percent. Unsold items account for less than 10 percent of its stock, compared with an industry average of 17 to 20 percent. This is also the reason why Zara can afford the extra labor and shipping costs needed to accommodate and satisfy changes in customer demand. You'll be hard pressed to find any excess inventory or deadstock in a Zara warehouse. 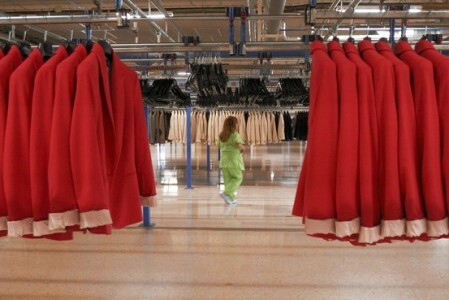 Throughout the supply chain, lean is the word, all the way from raw materials to the finished garments on the shelves. Inventory optimization models are put in place to help the company to determine the quantity that should be delivered to every single one of its retail stores via shipments that go out twice every week. The stock delivered is strictly limited, ensuring that each store only receives just want they need. This goes towards the brand image of being exclusive while avoiding the build up of unpopular stock. 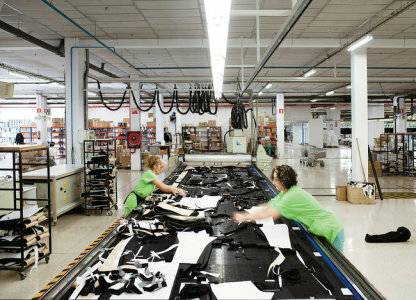 This quick in-season turnaround, from production facilities located close to Zara’s distribution headquarters in Spain, allows Zara to ship more often and in smaller batches. If the design Zara hastily creates in an attempt to chase the latest trend does not sell well, little harm is done. The batch is small, so there’s not a ton of unsold inventory to get rid of. And because the failed experiment is over quickly, there’s still time to try a different style, and then a different one after that. Zara sticks to a deep, predictable and fast rhythm, based around rapid deliveries to stores. Each Zara outlet sends in two orders per week on specific days. Trucks leave at specific times and shipments arrive in stores at specific times. Garments are already labeled and priced upon arriving at their destination, meaning they’re immediately ready to be sold. As a result of this clearly defined rhythm, every staff member involved in the supply chain – from design to procurement, production, distribution, and retail – knows the timeline and how their activities impact other functions. That certainly also extends to Zara customers, who know when to visit stores for fresh new garments. Zara’s reliance on centralized order fulfillment is what enables the company to maintain incredibly efficient workflows – from initial design right through to delivery to stores and customers. The company’s approach is just another example of why streamlined operations and supply chain management are critical to profitability and achieving scale. Zara’s strong distribution network enables the company to deliver goods to its European stores within 24 hours, and to its American and Asian outlets in less than 40 hours. Zara’s success story shows the strength of its operations. Its cross-functional operations strategy, coupled with its vertically integrated supply chain, enables mass production under push control, leading to well-managed inventories, lower markdowns, higher profitability, and value creation for shareholders in the short and long term. Zara is all about staying on top of the hottest trends, and exuding an exclusive feel, but its supply chain is the real star of the show. These rockstar-level logistics take it from being just another fashion retailer to an industry example of fast fashion done right. 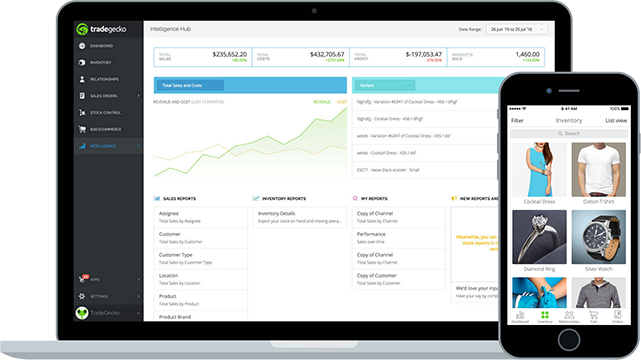 Want to manage your inventory as effortlessly as Zara but for a fraction of the cost?